ABSINTHE GRAND CUT IPHYM luminary Herb Artemisia absinthium L.
Aromatic bitter, stimulates bile secretion, anti-inflammatory, anthelmintic, relieves stomach upset. Wormwood (Artemisia absinthium L.) also called wormwood in opposition petite wormwood (Artemisia pontica) is a plant of the Asteraceae family. Common names: Wormwood, absin, aluyne, aluine, alvine, aloin, mugwort, holy herb, grass worms, alvine menu, bitter wormwood, Swiss absinthe. Origin: Scattered in uncultivated, rocky and arid regions of Asia and Europe, absinthe is fairly common in the Alps up to 2000 m altitude; it is also found in North Africa and America. It is a perennial plant whose stem rower, which can reach one meter in height, is covered with a whitish down, giving him an ashen gray appearance. The lower part of the leaves are cut into narrow strips cottony white and particularly below. Flowers, divisible from July to August, greenish yellow, are small but numerous. They form small globular heads, pendants, gathered in clusters at the ends of branches. Part used: Picking the buds by adding the leaves at full bloom. Property: Wormer, stomachic, emmenagogue, cholagogue. Active ingredients: silica, two bitter principles (absinthine and anabsinthine), tannic and resinous substances, malic and succinic thujone (a terpenoid). Used as an anthelmintic in diseases of the stomach, causing the rules, against fatigue, against seasickness and nausea, this plant can be used as a tea with wine, beer powder as well as decoction. Externally, it uses a hot poultice, but also to the brew. Indicated in patients with insufficient gastric juice increases blood circulation in areas of the basin (emmenagogue), biliary excretion, and acts as a disinfectant. Absinthe should not be used more than 8 consecutive days because its effects would become void and, secondly, it may cause irritation of the gastric mucosa and influence the nervous system. The plant has hazardous active substances. Use of the drug should be limited. Do not use in pregnant or nursing women: abortifacient effect (risk of false significant layer). 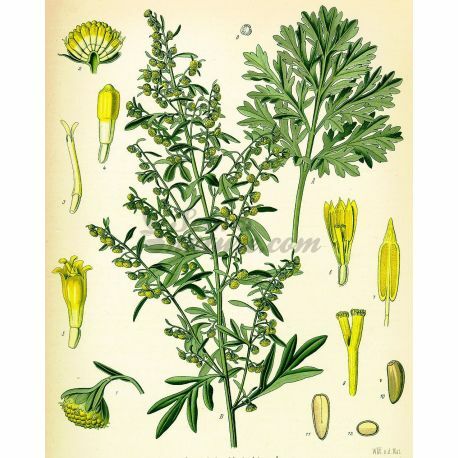 Infusion of wormwood leaves: Put 5 g of dried flowering tops of leaves of wormwood per liter of boiling water, take a small cup 2-3 times a day. 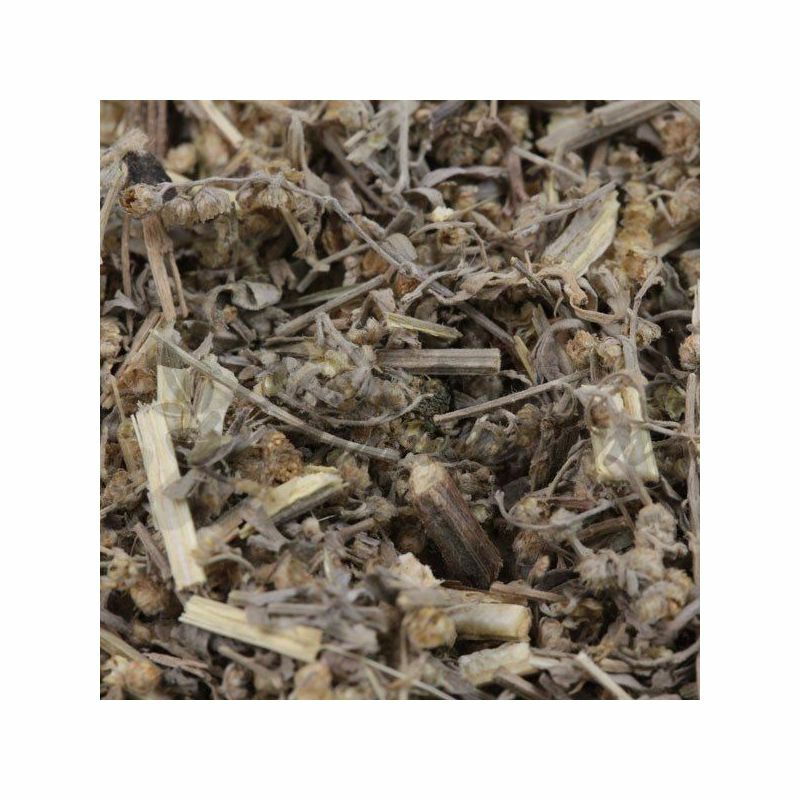 Powdered wormwood leaves: grass so employed may serve deworming: the dose for a potion is then 2 to 3 grams. 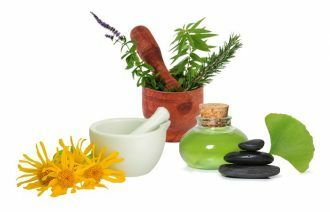 Tincture of wormwood leaves: 10 to 30 drops in 100 ml of water, take 2-3 times a day, 3 minutes before the meal (as a tonic); 20-60 drops 3 times a day in 50 ml of water (for bile).